unwell but have no clear diagnosis. 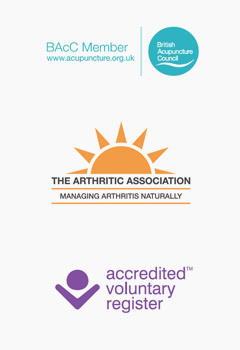 I am a fully qualified acupuncturist and member of the British Acupuncture Council, the leading regulatory body for the practice of acupuncture in the UK. My acupuncture practice is situated in Henley and is approved and registered with South Oxfordshire District Council’s Licensing Authority. What can I expect from my first treatment? What does it feel like?, are the sort of questions commonly asked by people before they embark on a course of acupuncture. I have answered these and a number of other questions frequently asked by people considering acupuncture treatment here. Alternatively, some people prefer to make use of the free initial 20 minute consultation service I offer. This can help them decide whether they would like to use acupuncture to treat their condition. Please contact me if you would like to find out how acupuncture could help you.